In honor of the recent release of The Force Unleashed, I’m thinking of playing some Star Wars. Online turnouts have been fair; I think it’s time to host another little get together at my place for some Soul Calibur IV fun. I’ve got the arcade sticks if you bring the skills. If anyone has another suggestion (a bit of Rock Band 2 perhaps), feel free to post. 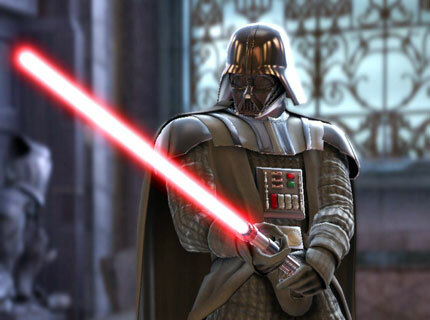 And what is taking them so long to release Vader as DLC (or Lightsabers as weapons for everyone else)?